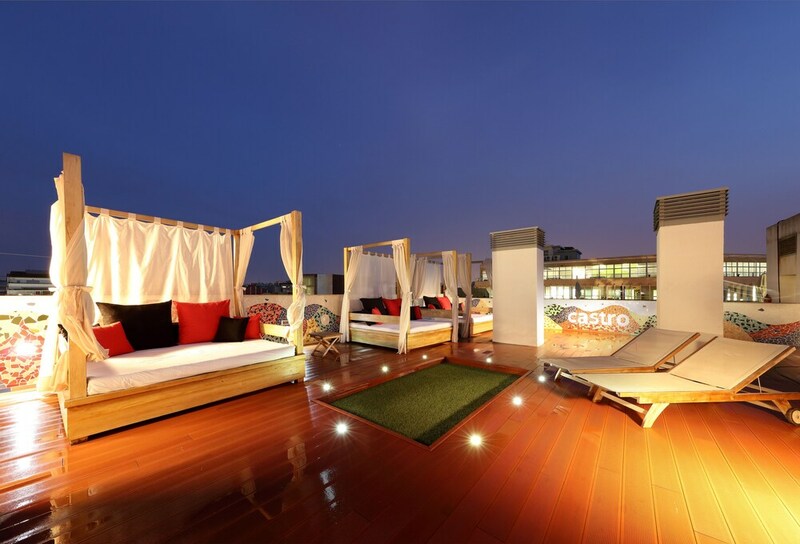 With a stay at castro Exclusive Residences SPA Sagrada Familia, you'll be centrally located in Barcelona, a 4-minute drive from Sagrada Familia and 7 minutes from Casa Batllo. This 4-star apartment is 0.8 mi (1.2 km) from Casa Mila and 1.5 mi (2.4 km) from Placa de Catalunya. Make yourself at home in one of the 20 air-conditioned rooms featuring kitchens with full-sized refrigerators/freezers and stovetops. Your room comes with a memory foam bed. Rooms have private furnished balconies. 52-inch LCD televisions with cable programming provide entertainment, while complimentary wireless Internet access keeps you connected. Private bathrooms with separate bathtubs and showers feature deep soaking bathtubs and bidets. Pamper yourself with a visit to the spa, which offers massages, body treatments, and facials. You're sure to appreciate the recreational amenities, which include 3 indoor swimming pools, a health club, and a sauna. This Art Deco apartment also features complimentary wireless Internet access, concierge services, and babysitting/childcare (surcharge). Enjoy a satisfying meal at Meridian serving guests of castro Exclusive Residences SPA Sagrada Familia. Continental breakfasts are available daily from 9 AM to 11 AM for a fee.